John Dimech, President of Shell Trading Company (US) spoke with the team on the importance of Goal Zero and the theme around Safety Day. Goal Zero focuses on personal, process, and transport safety. Both KAG and Shell have established a robust safety culture. “Faced with dilemmas each day, we have a conscious decision and choice to make because we care about each other. We cannot remain silent and allow someone to get hurt,” says Dimech. He went on to stress to attendees about “remaining alert to low frequency but high impact catastrophic events” as risk normalization becomes a problem when we become so accustomed to and comfortable with our surroundings. 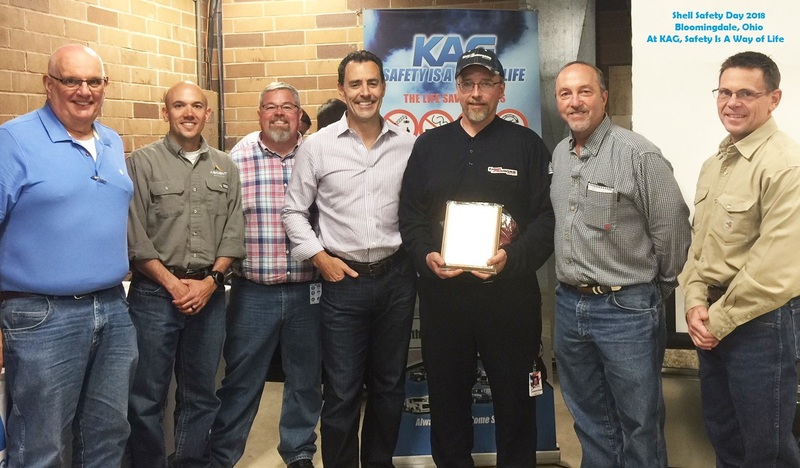 Overall, it was clear that the entire team values a culture of safety and focuses each day on eliminating risk as they strive to create a safe environment for everyone. Congratualtions to Bill and thank you to all who participated in this year’s Safety Day.